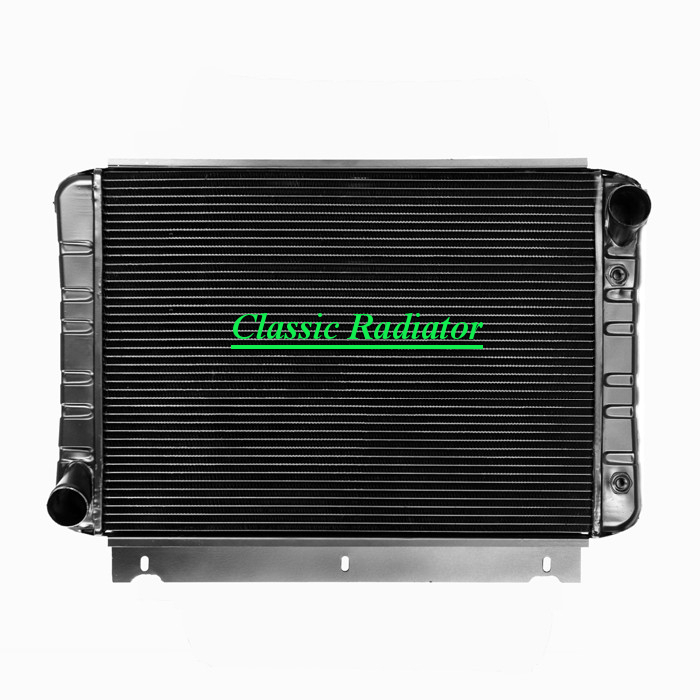 This radiator was designed to resemble the OEM radiator as closely as possible. It is made to bolt in exactly as a factory replacement radiator would. It is available in two core designs. Either three rows of 1/2" inch tubes on 9/16" centers or on 3/8" centers for a high efficiency core. A three row high efficiency core will cool the same as a regular four row core without losing any existing fan clearance. Four row models are not available due to limited fan clearance. 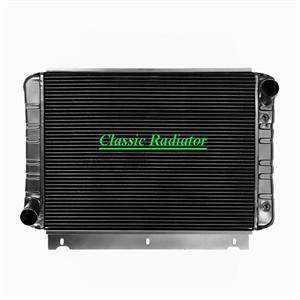 An internal automatic transmission cooler is built into this radiator. Core dimensions of this radiator are approximately 24" between the tanks and 17 1/2" tall. It will fit the same as and function better than the original. This is a normally stocked item. If the inventory on this item shows zero, please contact us to see when we will be getting it back into stock. Call us at 516-293-2175 Monday to Friday 8am to 5pm EST. If you cannot wait for our next stock order, we can have it built and shipped to you directly from the factory at no additional cost.